A long time ago, I worked for a company called XeroxConnect. They were a consulting firm, and I was one of their consultants. At the time, I was gung-ho to earn my Microsoft Certified Systems Engineer title so that I could be assigned to the more challenging contracts. XeroxConnect paid for me to take the certification tests, for which I dutifully studied. I passed every test on the first try. I completed my final test – and therefore earned my MCSE – on the same day as Karl, another fellow in my office. We left the testing center and headed back to the office, anticipating the new challenges and increased responsibility we would soon enjoy. Our branch manager already had something in mind for us: he asked us to assemble some metal shelving units to help organize files in a spare closet. Like the good engineers we were, we studied the assembly instructions, and took inventory of what we needed. Lacking the proper tools for this task, Karl and I headed to the hardware store to purchase rubber mallets. We also purchased the largest permanent marker we could find. 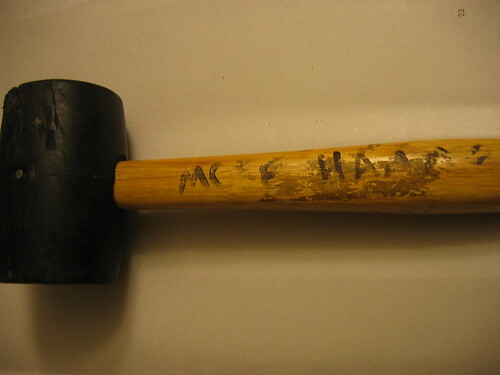 Back at the office, before assembling the shelves, we labelled our mallets in a quiet, tongue-in-cheek ceremony. This mallet has served me surprisingly well over the years. It is the one long-lasting benefit to have come from my certification. 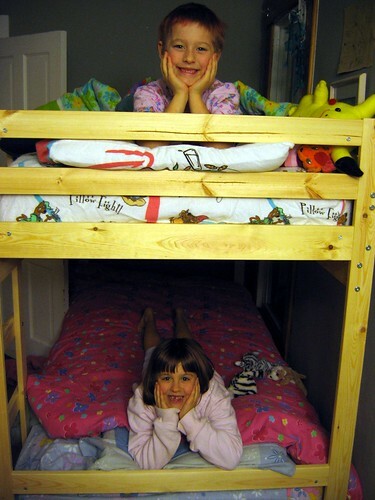 Tonight I used my MCSE Hammer to assemble the bunkbed we purchased at IKEA this weekend! Assembly was surpringly easy. I swore more trying to wedge the box into the van last night than I did tonight putting the bed together!